TNC is lucky to be blessed with a twenty-three acre deciduous woodland; consisting mainly of ash, oak, silver birch and alder. As I write this it is winter and we are busy logging the trees that the gales have brought down. Winter is also the time for planting and bonfires to burn the brash, any excuse to roast potatoes and have a party. Interspersed throughout the woods and glades are shelters where one can sit and contemplate, rest, read, chill out, picnic and enjoy the environment, some of the shelters even have BBQ facilities. 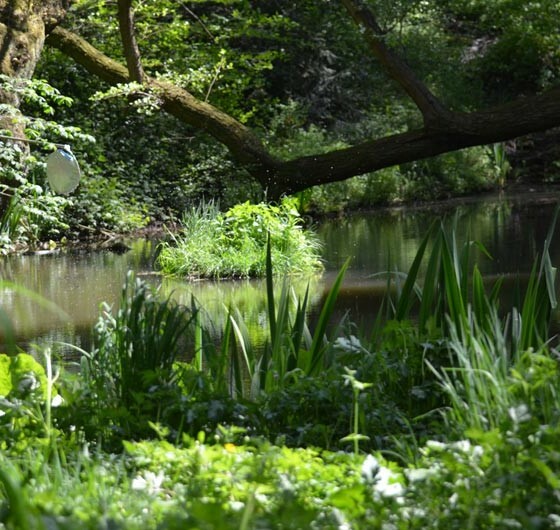 Throughout the woods is a network of meandering paths which lead the explorer to follow streams, discover pools, viewpoints, animal tracks and evidence of their activities. Spring sees the woods shed its gown of winter and nature opens its paint box to decorate the floor with carpets of snowdrops, bluebells and daffodils. 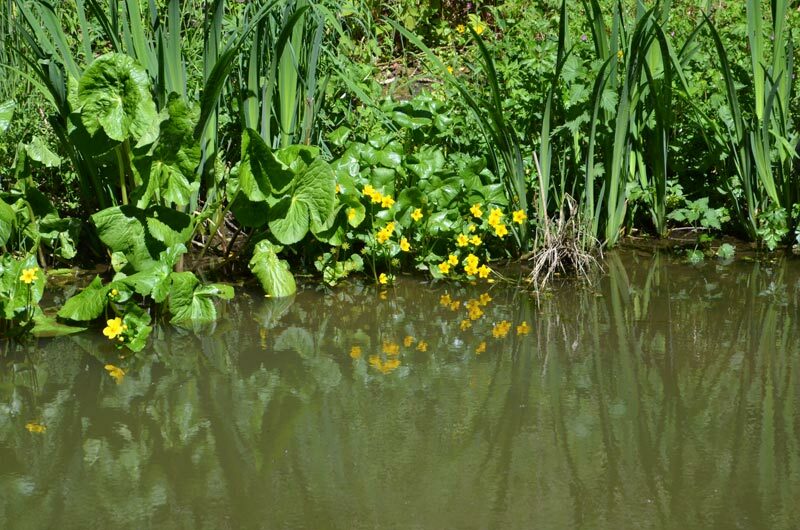 Wild flowers abound: yellow archangel, foxgloves, rosebay willow herb, herb Robert, celandine wood sorrel and many others. Any ornithologist could while away many happy hours observing our resident bird population. 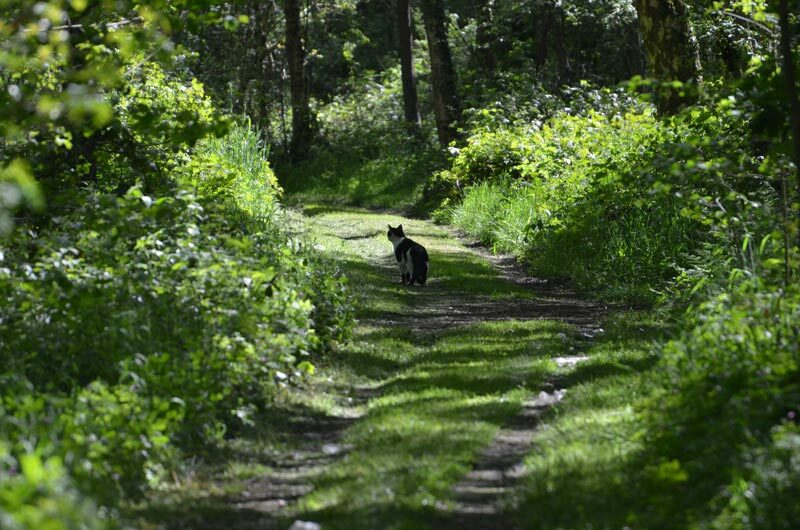 Often working in the woods we hear the mocking laugh of the green woodpecker, the high pitched call of the buzzard, the harsh cries of the jackdaws and the constant twitters and tweets of the myriad of the little fellows. 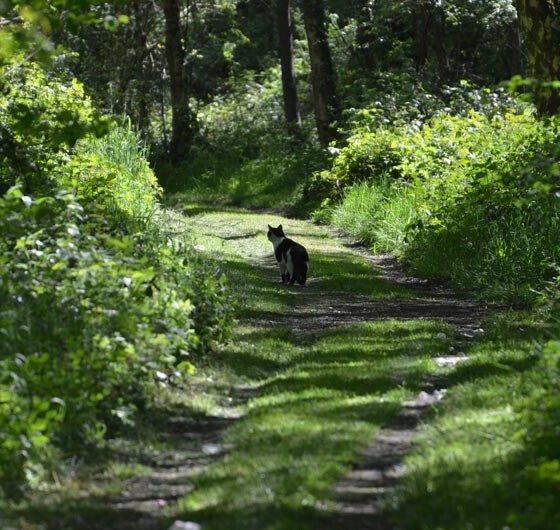 Throughout the year there is plenty of evidence of our four legged friends visiting us. Badgers track through the woods scraping the grassy places for worms, then pass on to the adjoining fields to reap what harvest they provide. Foxes virtually live with use; their runs can be seen entering and leaving our grounds. In the summer they can be often seen sleeping under our caravans. The cats seem to get on very well with them. The grey squirrels are with us all year round. They live in the woods and are quite cheeky, and often sit and watch you as you watch them, whilst you are sitting quietly in one of the glades contemplating the wonders of the universe. Autumn sees great changes, the greens fade into the golds of the birch and sweet chestnut, the ash yellows and festoons its branches with its keys, the one winged helicopters that the wind will scatter to germinate in the Spring, and the oak which carpets the floor with acorns. This not only propagates the oak trees but it provides an end of year feast for the mice, squirrels and jays. This yearly cycle can be observed in the other woodland environments. 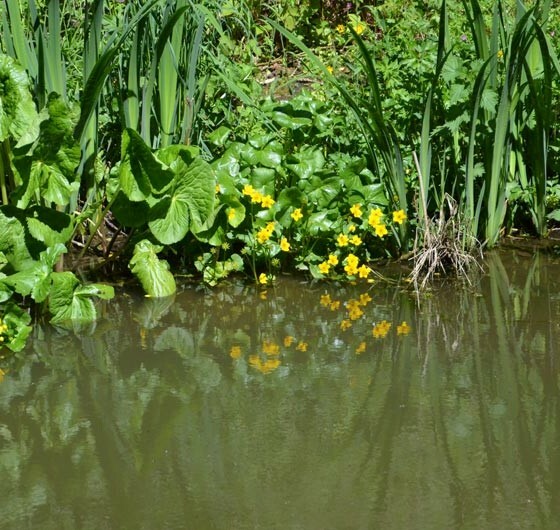 The pools provide a habitat for frogs, newts, water beetles and a vast collection of insects ranging from water boatman to dragon and damsel flies. 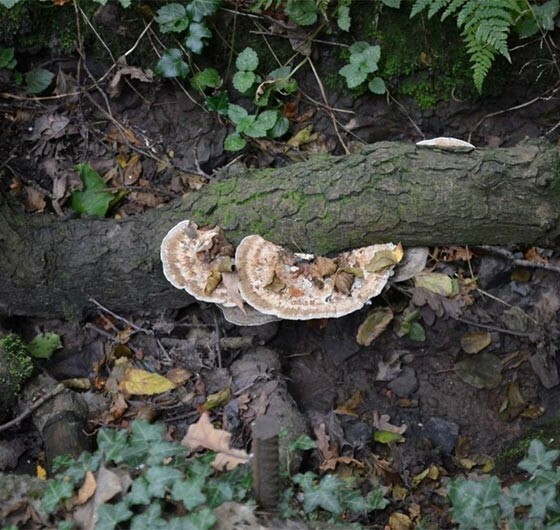 The damp woodland floor is an ideal setting for the growth of many fungi. Carpets of scarlet elf cups, shaggy parasols, blewits, boletus, fly agaric etc. etc. etc. 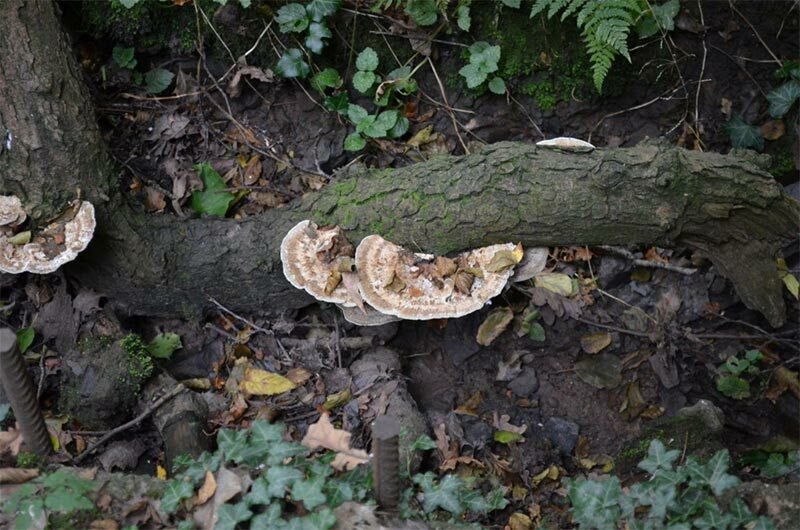 and on the trees chicken of the woods, birch polypores, dryad’s saddle and jew’s ears to name but a few. We have now come full circle, and Winter comes again. We are very proud of our woodlands and would like the only creatures that I have not yet mentioned to share it with us: namely YOU. Whatever you seek to find in the woodlands environment you will find it here along with a warm welcome and a chance to get involved with the many aspects of woodland management. These include felling, logging, brash burning, strimming, mowing, path clearing, pruning, dredging and planting, to mention but a few. There is always something to do however big or small, every little helps. You are welcome to join us should you so desire. 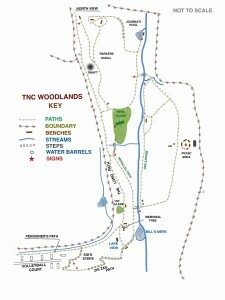 A map of the woodlands showing all the landmarks mentioned, is available in reception and the bar. 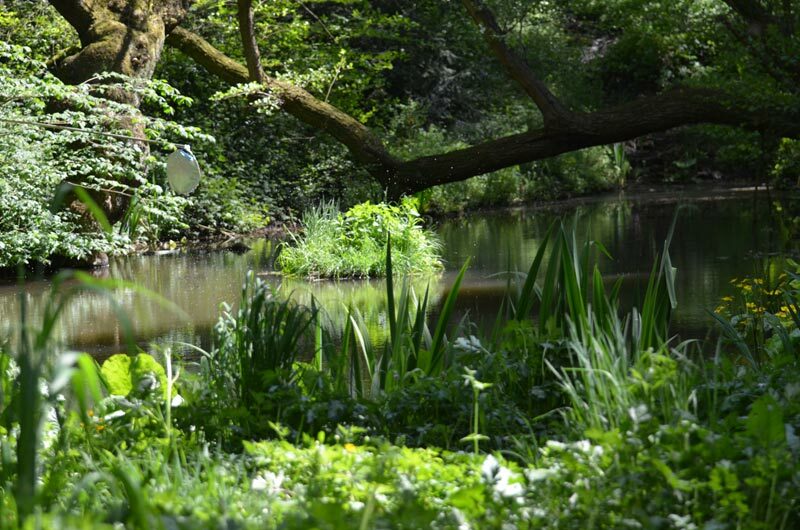 Spanning over 23 acres of woodland the site is blessed with energetic walks and slow easy walks. A layout of the site is available in the reception and one is pinned up in the clubhouse. Aptly named the ‘Pensioners Path’ it starts in between the caravan pitches just down from the ‘Wendy house’ anyone will tell you the security gate number. Stout footwear is the order of the day, let someone know if you are heading out on a walk and if you have a mobile phone please add the club’s number to your contacts, and take it with you. 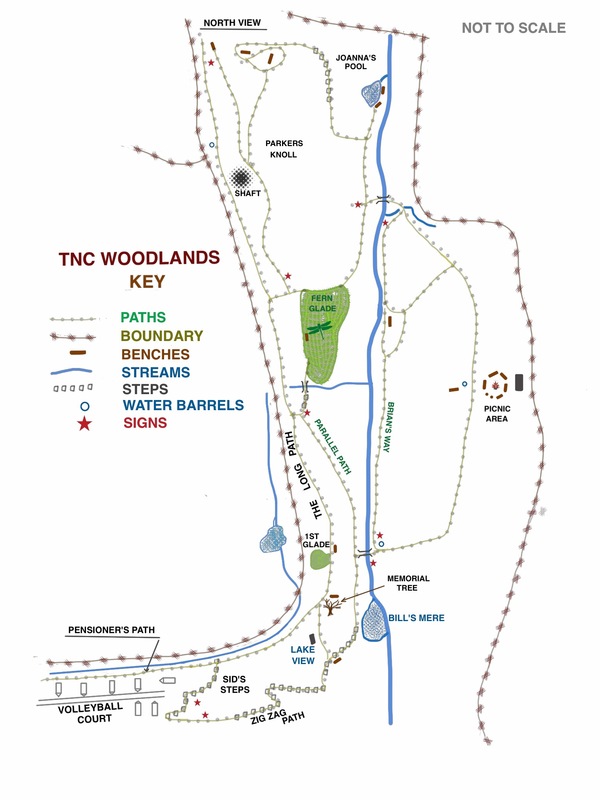 Schematic view of the woodlands.